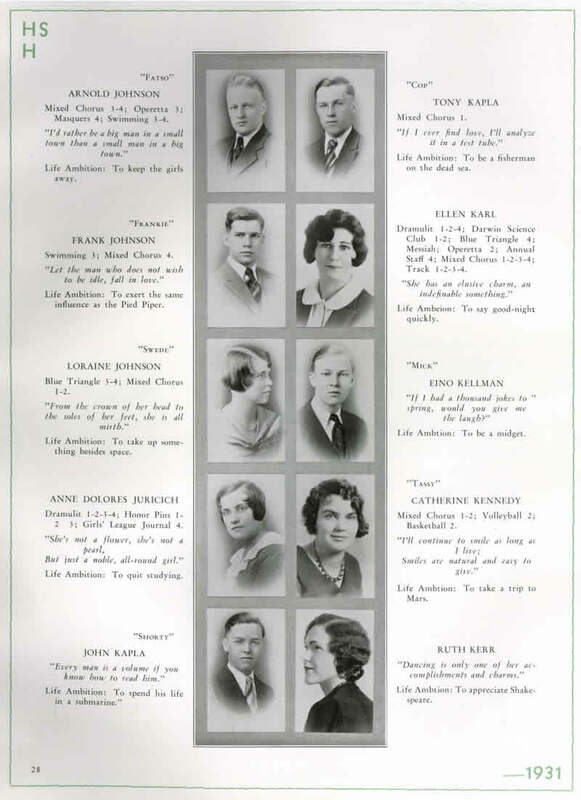 Did your parents graduate from Hibbing high school? I have the following yearbooks and will look up a name and email you their graduation photo and "description" from their Hematite yearbook. Just send me an email (click here) with your parent's name and graduation year. If you are not quite sure of the exact year, I can check in other years. Below is a scan of my Uncle's photo, Arnold Johnson, from the 1931 Hematite. If anyone has Hematites from the years I don't have, I would be interested in obtaining them.